It is the osteopathic philosophy that the body is capable of healing itself – and maintaining this state of well-being – if barriers, such as structural problems, are removed. Osteopathy is a “whole body” system of manual therapy which uses a range of techniques to treat musculo-skeletal disorders and other functional disorders of the body. This form of treatment was developed in America in the 1870s by Dr Andrew Taylor Still and has progressed in development to be widely recognised as one of the most scientifically validated and effective therapies. What Conditions Do Osteopaths See? Osteopath Dr Paul O'Keefe has been practicing as an osteopath for 14 years and has developed a wealth of experience in assessing and treating a variety of aches and pains. Paul's focus is very much centered around educating his patients so they can develop the necessary skills to be able to address the specific cause of the problem. Paul graduated with a double degree in Osteopathy from Victoria University in 2004, which culminated in his two year Masters project being published in the International Journal of Osteopathic Medicine. He has since worked in Williamstown, Sunbury, Ballarat, North Melbourne and had a year working in Ireland. As owner of Premier Health Partners (PHP), Paul has overseen the clinic as it has grown from humble beginnings. Formally in Errol St since 2009, the clinic and has since moved into our new offices just around the corner in King St West Melbourne. PHP has been set up to provide professional health services to the local North Melbourne area as well as the surrounding suburbs of Kensington, West Melbourne, Carlton, Flemington, Footscray, the CBD and the inner north western region of Melbourne. As director of Premier Health Partners, Paul has overseen the transition of PHP to a fully multi-disciplinary medical clinic, comprising general practitioners, osteopathy, clinical pilates, dental prosthetics, clinical psychology, dietetics and remedial massage. Private health insurance rebates are available (HICAPS) to see Dr Paul O'Keefe. Ask your GP if you are eligible for a referral with Chronic Disease Management scheme as part of Medicare (this covers 80% of your fee). Maddi is a dedicated and caring osteopath who strives towards the best outcome for her patients. She has a blended treatment style using both strong direct, and more gentle indirect techniques that are tailored to the individual patient. Through clear treatment goals, she endeavours to get to the cause of the issue, helps patients understand their condition, and empowers them to manage their own health and well-being. Growing up in NSW and QLD, she herself was treated­­ by an Osteopath throughout childhood from a young age and when looking what to study at University, Osteopathy was an obvious choice. From the first day of University Maddi loved the hands-on and practical approach; she knew that Osteopathy was going to be her calling. Maddi graduated from RMIT with a bachelor of health science and a bachelor of applied science (osteopathy). During her studies Maddi became fascinated with anatomy and became a tutor in the laboratory where she ended up teaching for 3 years while completing her degrees. Maddi’s passion for Paediatrics and Pre/Post-Natal Health stemmed from her own childhood treatments and grew while studying. This led her to undertake observations with numerous osteopaths around Australia who treated children for her to gain further knowledge. Additionally she has completed several external short courses in the field of Pregnancy and Paediatrics in the final years of her degrees to broaden her skills and expertise. Supporting mothers with their breast feeding choices is something Maddi is also very passionate about. She helps give mums a network of support to try and overcome any issues affecting their babies feeding and comfort. In her downtime Maddi likes spending time with her family, watching movies, bushwalking, camping, and relaxing with a nice book. Maddi enjoys treating all patients of all ages from babies to elderly; tradies to office workers. She has helped whole families achieve improved mobility and health, and would be pleased to see if she can help you. You can book an appointment with Maddi on Tuesdays, Thursdays and Saturdays. 1. Do I need a referral to see an Osteopath? You do not need to see your doctor before making an appointment with an Osteopath. Referrals, however, are always welcome and we strive to work with your doctor to provide a treatment plan specific to your needs. 2. Does Osteopathic treatment have side-effects? Some patients may experience minimal discomfort after their consultation – due to the gentle manipulation and movement of joints and muscles – but this subsides quickly. It is, however, recommended that you do not over-exert yourself immediately after treatment to allow the body to ease through the healing process. 3. How do I know my Osteopath is fully qualified? All Osteopaths are skilled practitioners, have trained to a high level and are registered and regulated by the Australian Health Practitioner Regulation Agency (AHPRA). You can check our credentials by going to the AHPRA Site and Searching The Register. 4. How many treatments will I need? Your first consultation will determine the cause and extent of your condition and we will be able to provide you with an approximate number of treatments required. Due to Osteopathy being indvidually-oriented, the number of treatments varies and will depend on factors such as age, gender, lifestyle and general health. 5. 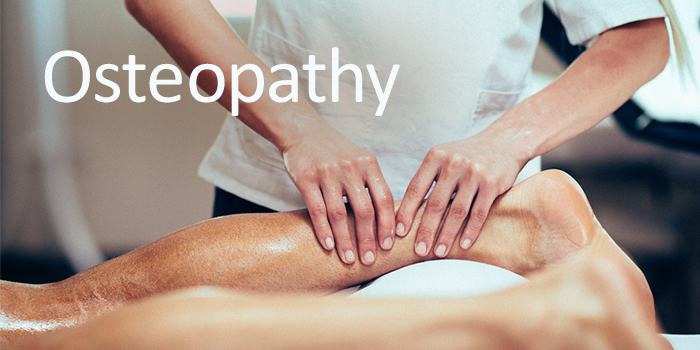 Is Osteopathy complementary to other medical treatments? While it is important to let us know of any advice you have received or medication you are taking, Osteopathy is tailored to work in conjunction with, not opposition to other medical treatments. This and the philosophy of "whole body healing" makes Osteopathy an ideal form of therapy. 6. What payment options are available? Am I covered? Most private health insurance companies cover Osteopathy. We recommend contacting your medical insurance company to clarify the terms and conditions of your policy.